On 1 November 2018, the Guardian ran an article about the radical economic transformation that’s under way in Preston. 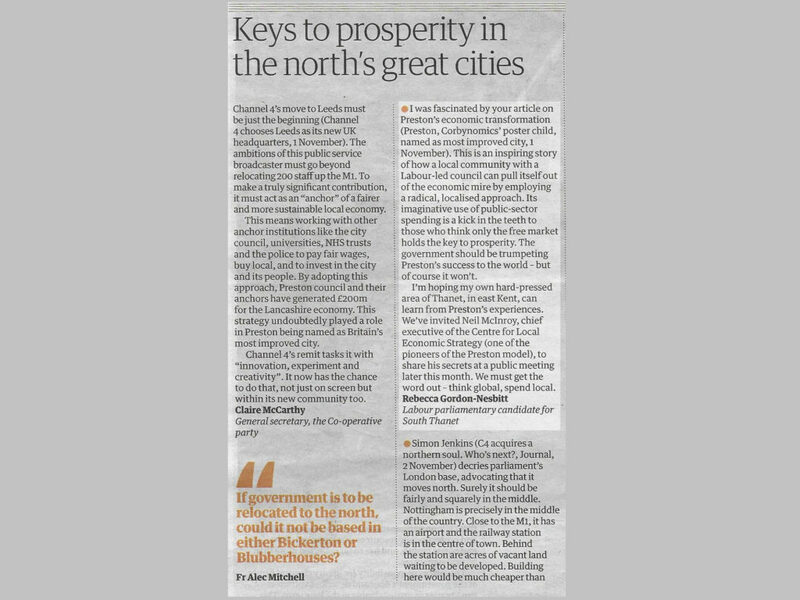 I wrote a response, highlighting our intention to learn from Preston through radical localised approaches to economic planning. My letter was included in today’s Guardian.